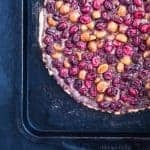 A colorfully delicious fall and winter tart that’s sweet and salty, tart and crunchy, with a mouthwateringly gooey caramel filling topped with fresh cranberries and pumpkin spiced candied macadamia nuts. YUMMMMM!!!! I hope you don’t have all your Thanksgiving desserts planned out yet cause I’m about to rock your Holiday dessert table world! 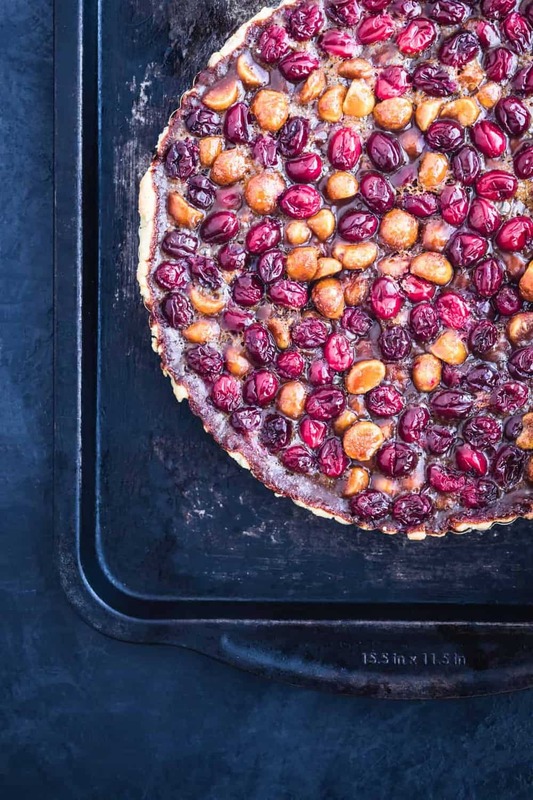 For Thanksgiving last year, I made this Cranberry, Caramel and Hazelnut Tart for my clients. It looked so super delicious, and I did get to snap this lovely pic below before serving it but I didn’t get to taste a piece, not one single bite! 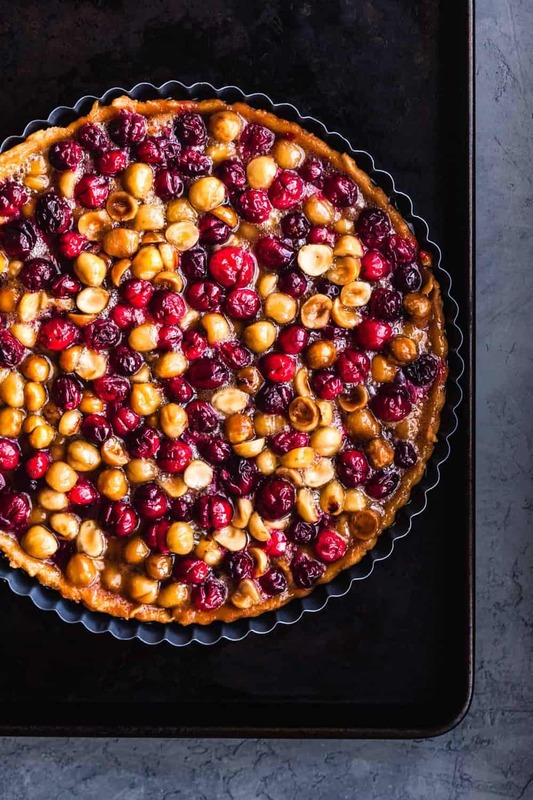 As soon as fresh cranberries showed up to the markets a few weeks ago, I quickly made this tart again, for a dinner party I threw. This time made absolutely sure to try a piece, (or shall I say copious amounts which better describes how much I ate…). 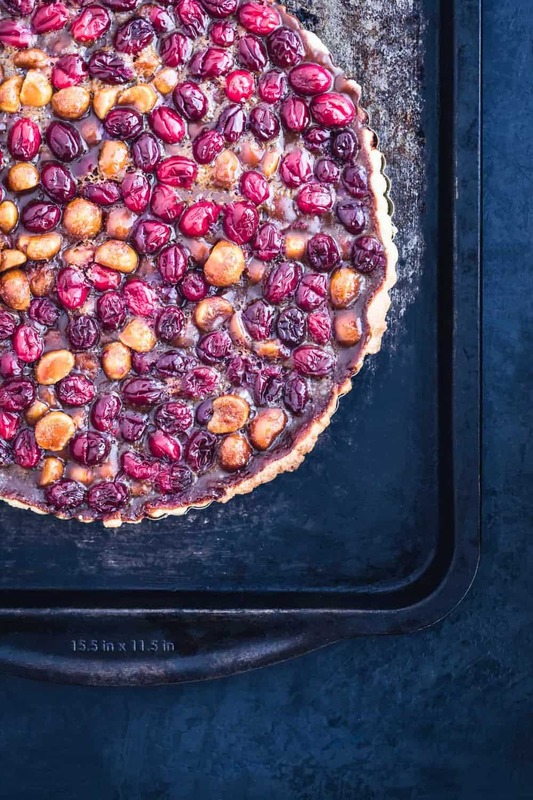 I’ve spent the last few weeks contemplating all the flavors going on and have been so inspired by them that I’ve developed my own version: please meet this Candied Macadamia, Caramel & Cranberry Tart. Freezing the dough after rolling it out on the tart pan ensures its fully chilled and relaxed, preserving its flakiness in the oven. Baking the tart shell with pie weights prevents the crust from forming air pockets that bubble up or shrink as it bakes. 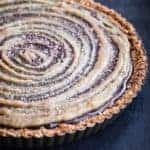 They help the dough hold its shape and stays firmly nestled against the tart plate. 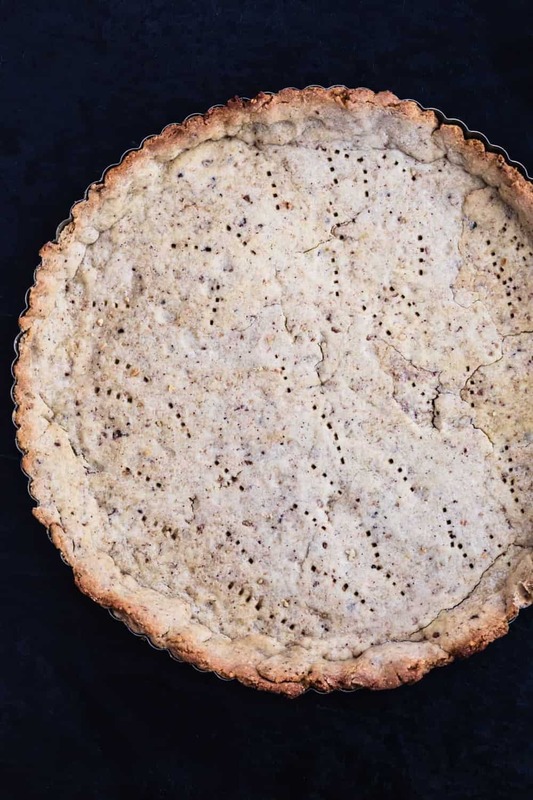 Adding macadamia nuts to the tart dough give adds a depth of flavor and crunchy surprise to the crust. Candying the macadamia nuts with pumpkin spice adds some wonderfully seasonal Holiday flair. The sweet, richly decadent homemade caramel balances the tartness of the cranberries. These candied macadamia nuts come out so divine that I had a real tough time not eating ‘em up and instead saving them for the tart filling! To deal with this wanting-to-eat-the-candied-macadamia-nuts problem (hey, the temptation is real) I’ve candied 3 cups, while the tart only calls for 2, so you’ll have a full cup to enjoy for your snacking pleasure. If you’ve never made caramel at home you’re in for a big treat!!! It’s mind blowing what heat can do to sugar! 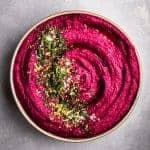 A food processor is the easiest way to make the dough. If you don’t have one, the dough can be cut with a pastry blender, two butter knives, or two forks. Freeze the rolled out onto the tart shell dough for 30 min before baking. The recipe makes a dry caramel (as opposed to wet) which means we are starting out with only sugar in the pan over medium heat. We are not stirring it and simply waiting until it turns a dark golden brown color. Then mixing it with warm cream, melted butter, vanilla, and salt off the heat. Don’t let your tart dough get warm! If it does, put it back in the fridge/freezer to chill. Start with very cold cubed butter for the dough. If you’re simply not having luck with the dough it’s okay to quasi piece it together in the tart pan. The filling will cover it and no one will see. 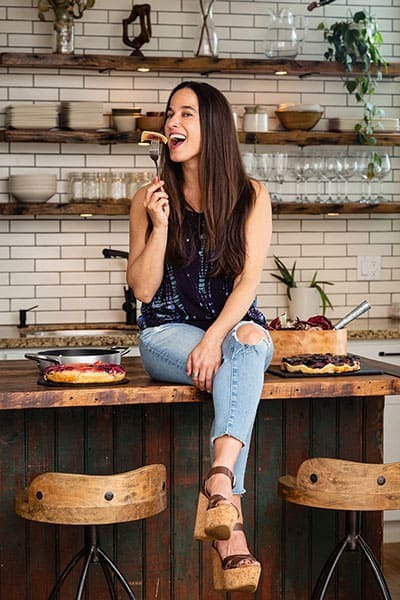 Please see my imperfectly perfect tart crust below. Use pie weights (or beans) and poke holes in the tart crust pre-oven time. Keep a close eye on your caramel so that it doesn’t burn. 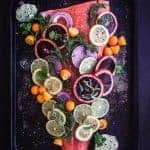 Let’s make waves in the kitchen!!! The pumpkin spiced candied macadamia nuts are from Oh Sweet Basil and the Caramel Recipe is from Completely Delicious. 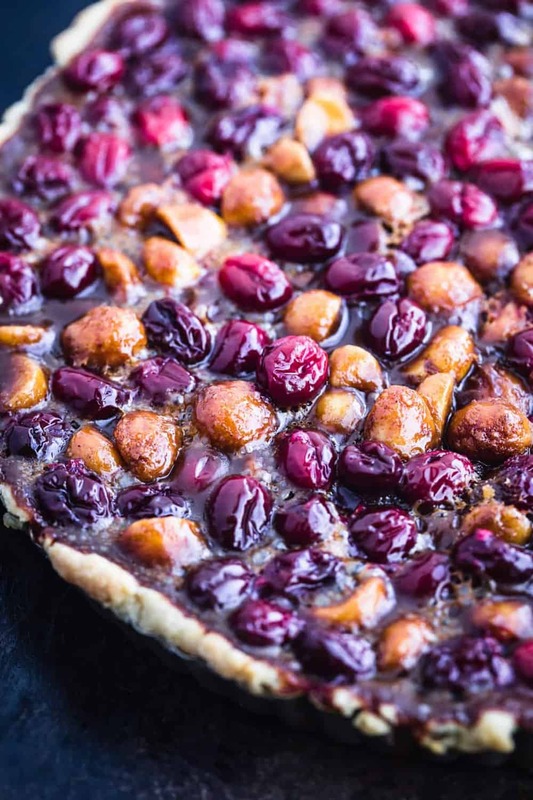 A colorful and delicious fall and winter tart that’s sweet and salty, tart and crunchy, with a deliciously gooey caramel filling topped with fresh cranberries and pumpkin spiced candied macadamia nuts. In the bowl of a food processor, pulse macadamia nuts until they’ve been reduced to a coarse meal. Add flour, powdered sugar and salt and pulse to combine. Add cubed butter and pulse a few more times to break the butter into pea size pieces. Drizzle the egg yolks over the top and pulse until the dough starts to come together. Form dough into a disk, wrap in plastic, and chill in the fridge for at least 2 hours and up to 5 days (you can also store dough double-wrapped in the freezer for up to 2 months). On a lightly floured surface, roll the dough out to about 1/4-inch thick and into a rough 12-inch circle. Transfer to a greased 11-inch tart pan. Freeze for 30 minutes. Preheat oven to 375 grams. 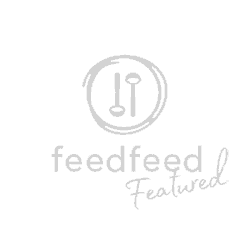 With a fork, poke holes in the curst ….Line chilled tart crust with greased foil and fill with pie weights or dried beans. Place on a sheet pan. Bake for 20 minutes until set and edges just begin to turn brown. In a small bowl, whisk the egg white and water until very foamy. Place the nuts in a large bowl and toss with the egg white. In another bowl, add the sugars, pumpkin spice and salt; mix to combine. Add the sugar mixture to the nuts and toss until evenly coated. 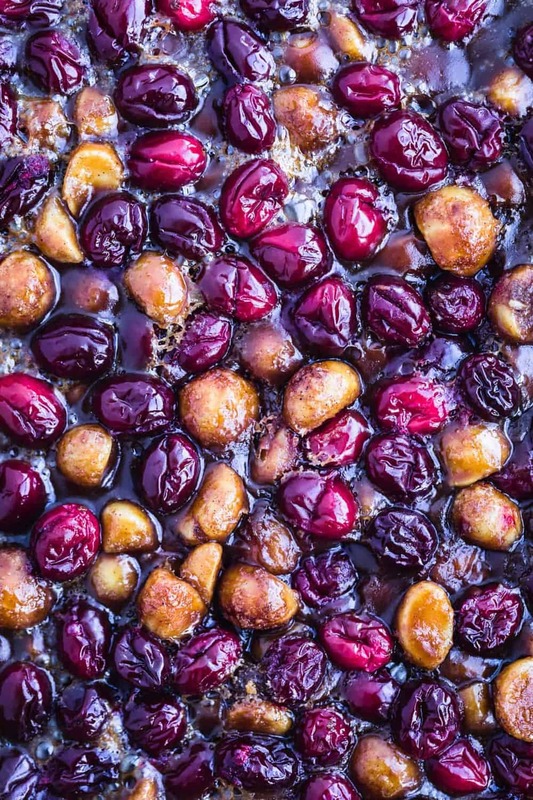 Spread the nuts out on the baking sheet and bake for 25-30 minutes. Remove from the oven and allow to cool for 2-24 hours in order to crisp up. In a small saucepan set over medium low heat, warm cream and butter just until butter is melted. Set aside. Add sugar to a heavy bottom saucepan and place over medium heat. Let sit until edges begin to melt and turn golden, do not stir. Continue to cook until all of sugar has caramelized, swirling the pan as needed to promote even browning. This whole process should take about 5-7 minutes. Watch it carefully so it doesn’t burn. As soon as sugar is caramelized, remove from heat and slowly add warm cream mixture a little at a time while whisking constantly. Once all of the cream mixture has been added, return to medium heat and stir until any hardened clumps have melted and caramel is smooth. Remove from heat and stir in salt and vanilla. Stir in cranberries and candied macadamia nuts. Pour mixture into the parbaked tart crust (crust should still be on sheet pan). Carefully transfer to oven and bake until caramel is bubbling at the edges, 20-25 minutes. Cool at room temperature for at least 1 hour. Serve immediately or store in the fridge and serve later. 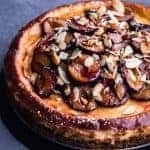 Tart will keep in fridge for up to 3 days. You are too cute!!! So glad yagir to taste this! Thank you :). ? ?